Jacob Roalef has spent his whole life living in the greater Dayton, Ohio area. From a young age, he has been fascinated with the outdoors and the creatures that inhabit it. First it was insects, spending a large amount of time in the backyard and at local parks “bug hunting”. He quickly grew to appreciate and love all animals, researching everything thing he could as he got older. This love of animals drove him to attend Kent State University in Northeast Ohio, where he earned his B.S. in Zoology in only 3 years. It was during his time in college where Jacob discovered his love for birds and birding. As soon as he saw his first bird through binoculars, he was hooked for life and hasn’t looked back since. His passion for birds quickly escalated into an obsession as he was spending much more time studying field guides rather than textbooks. Every moment he wasn’t in class, he was out in the field, hunting down his next new bird. Jacob is an exceptionally quick learner and after only 5 months, he was leading folks around and explaining birds to them as if had been a birder for 10 years. During his first year of birding, Jacob quickly zipped around the state of Ohio, recording 310 species. At the time this was the 4th highest number for the state and he was the youngest person ever to see 300 species in Ohio (21 years old). He didn’t slow down during his second year. Instead he turned his attention to the rest of the United States where he saw over 600 species in the lower 48 and finished 5th for the year. He has birded extensively all over the US including Texas, Arizona, California, Maine, Ohio, North Carolina and Florida. Since then he has done another Ohio big year, recording over 300 species again, one of only 7 people to ever complete that feat more than once. Jacob has an incredible drive to find all his targets but does it with a relaxed, stress-free vibe. 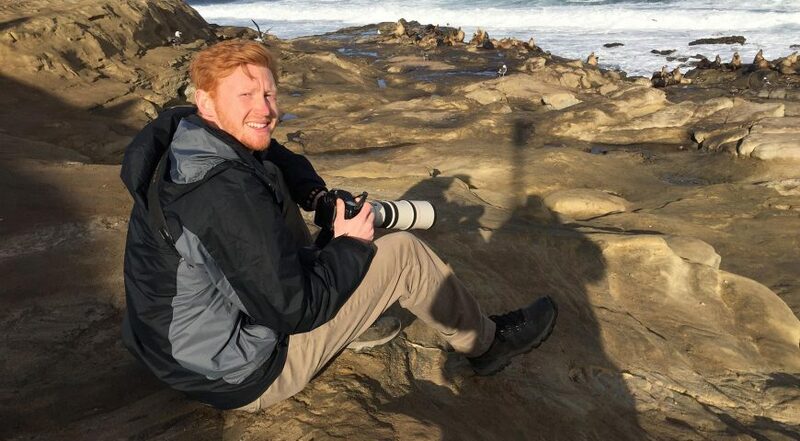 He is always looking to have a fun time and his infectious smile and goofy spirit is sure to make birding and traveling with Jacob a great time! When he’s not birding or studying, he enjoys spending time watching sports (all sports but especially tennis and basketball), relaxing with his family and girlfriend, and exploring other aspects of the natural world like plants and insects.